Warning though! It can make a grown woman cry...out of sheer bliss and the frustration that you can't have them all. It comes in a variety of styles (and prints) but my favorites are the pirouette and the low cut. 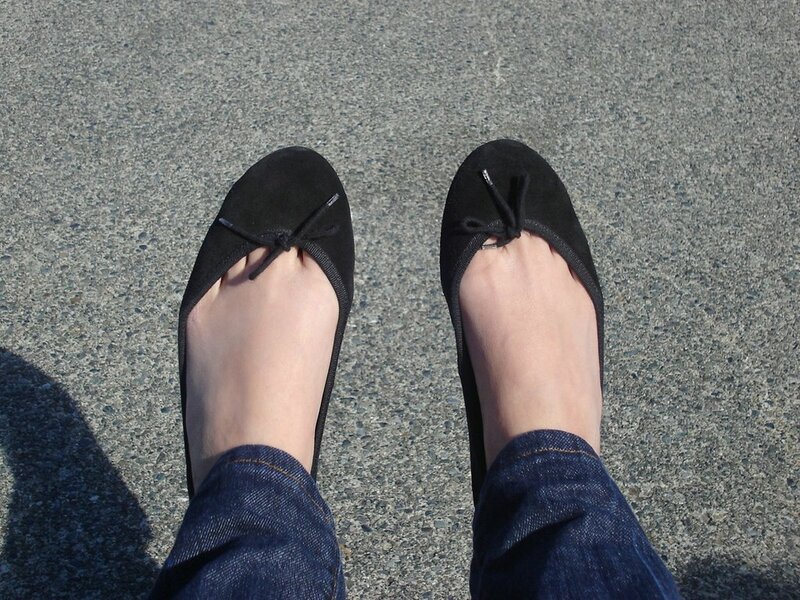 See, my obsession started with this shoe (pirouette in black suede). My sister Trina, a student in London, took a day off from school just to track down the French Sole store. It was worth her time! As soon as I slipped my foot inside I knew I was home. No other shoe will feel as comfy! Trust me! Note: Just make sure that you get the right size. This style runs small, and sizing is French sizing, so if you're a US 6.5-7, get a 38 (the equivalent of an Italian 37). I'd love to have this in black patent and black leather as well! But I figured, why stop at basic black? I would still definitely go for this low cut in red, which will add a zing to blah, boring outfits! I can imagine this best worn with black tights or leggings! Of course, with a short dress over it. Twiggy meets Audrey! So hip and swingin! Now these are for those "dainty" days when you feel like wearing sheer and floaty fabrics. Its a soft powdery pink that reminds me of bright and early morning ballet lessons, hair pulled in a bun, frothy pink tutus , soft cashmere wrap-around sweaters and tugging at baggy tights that sag at the knees! Heehee! 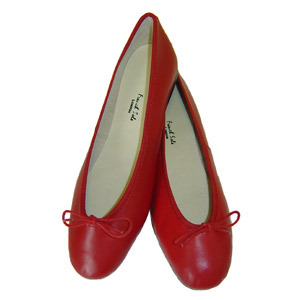 Before you think that this is getting boring, and basics are not your sort of thing, here are funky ballet flats that never fail to make me smile. So cute! 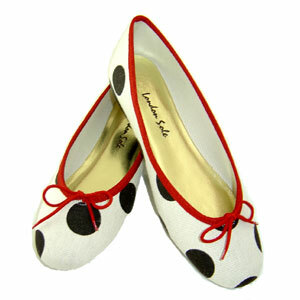 This is just one of the many quirky and fun prints that are available from French Sole. Now don't waste time, order a pair! Then you can grand jete your way to ballet bliss! Honestly, who needs to take ballet lessons when you stand up straighter and have a spring in your step when you slip on these?